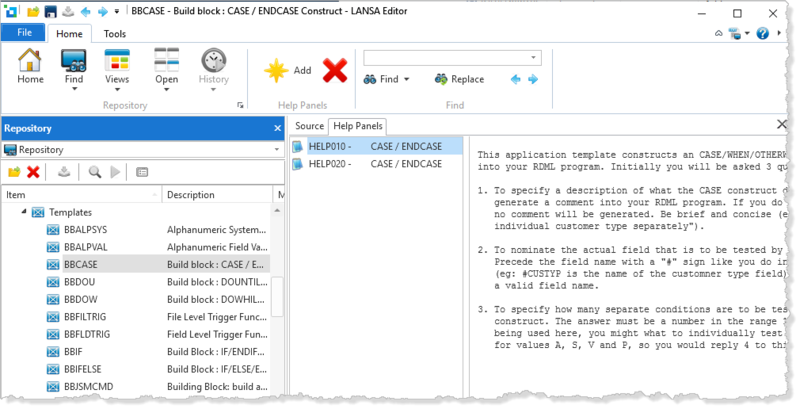 In Visual LANSA you can review a list of all LANSA Application Templates in the Repository tab. To modify or review an Application Template definition, find the template from the Repository tab. In an IBM i Master System use the Work With Application Templates Definitions from the Housekeeping Menu. Application Templates in the Developer Guide.